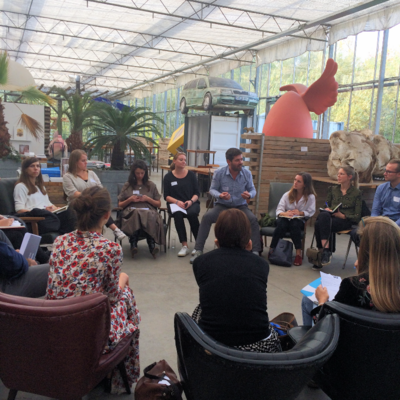 Expert day Sustainability hacks: what have we learned? Home Magazine Expert day Sustainability hacks: what have we learned? An extensive brainstorm to get your fashion label’s sustainability strategy off the ground… Chances are that this is somewhere on your lengthy to-do list. Yet chances are, too, that ‘more pressing issues’ keep getting in the way. And that’s a problem, because you should have your strategy all figured out before you can get started. Or shouldn’t you? Innovation coach Stefaan Vandist talked about the various responsibilities you can take on when managing a retail store. He stressed that investing in eco efficiency, by installing solar panels and LED lighting or taking other measures, is not the only way to make your store more sustainable. He notes, for instance, that today’s consumer is looking for a ‘transperience’: a combination of transparency and experience. Coining a new word is one thing, but what does it mean? Let’s take a closer look. Until recently, authenticity was a top priority sales-wise: buzz words like ‘crafted’ or ‘vintage’ had an enormous appeal for consumers. We’ve moved beyond that now, into a post-authenticity reality where people are fed up with (f)au(l)thentic stories, i.e. sales staff presenting products as ‘authentically made’ while they clearly aren’t. Instead, people are looking for transparency and experiences. And if there is one place where you can offer an experience to your customers and showcase the transparency of your organization, it’s in your retail store. 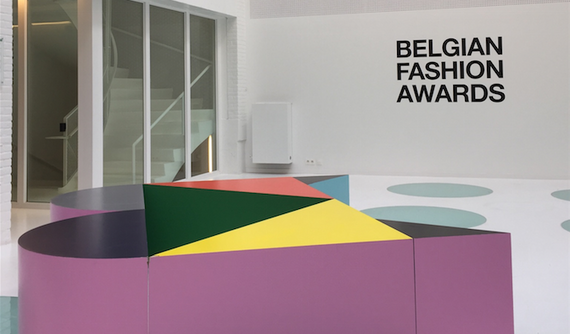 For instance, following the example of Belgian brand Stanley/Stella – which allows customers to pick their own print and see their sweater being personalized in-store – you could invite your customers to participate in the production process. Thus, you can kill two birds with one stone: you avoid the familiar problem of overstock, while simultaneously earning transparency points. What’s more, picking your print and seeing your new sweater come to life is an experience in itself, turning the store into more than just a space where product and consumer cross each other’s path. How all of this supports the principle of sustainability? By being open, you let your customers know you are making an honest effort, even though not everything about your organization is perfect yet. Explaining your pricing, for instance, goes a long way in gaining your customers’ trust as well as helping them appreciate your product’s real value. … but get hands-on as well! Having established the bigger picture, let’s move on to those quick wins you can implement today. 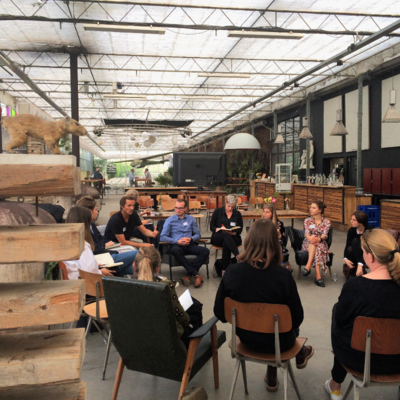 Frank Van Damme, Managing Director at Commotie, taught us the ins and outs of sustainability in the workplace. He firmly believes that CSR is never done and that, by taking small steps, you can nevertheless have a big impact in the long run. These small steps range from using a stapleless stapler and rechargeable batteries to embracing Ecover in the office kitchen and sorting paper and cardboard for recycling. Want to know more about sustainability in the workplace? Check our complete list of tips and tricks. In addition, Frank underlined the importance of transparency and sustainabilitycommunication. So, make sure to explain to your colleagues the why and how of the changes you are planning – and to stress the positive impact they’ll have. Discover all of Frank Van Damme’s tips for sustainable entrepreneurship in the creative industries (in Dutch). CO2 compensation is another way of tackling sustainability challenges when organizing meetings or at the office in general. CO2LOGIC'sAntoine Geerinckx explained that it’s perfectly possible to compensate for the West’s entire CO2 production by planting or protecting trees in developing countries. You can launch such projects to compensate for the distance your colleagues commute to work or start small by making some of your events carbon-neutral, like this Expert day! Last but not least, Marieke Eggermont joined us for a session on sustainable HR. As a job designer and workplace advisor at Compaan, Marieke visits organizations to check whether employees are happy with their job. Sometimes proposing just a small change in a person’s job assignment makes all the difference in the world. Each step towards a more sustainable policy can be contextualized by the 17 Sustainable Development Goals (SDGs) that were passed unanimously by the UN. 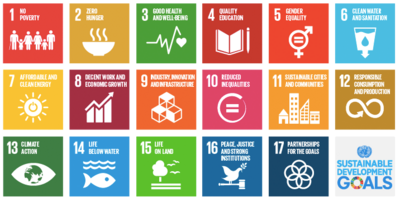 Hans Verboven, a professor in Corporate Social Responsibility and Business Ethics at the University of Antwerp, recommends drawing up a sustainability strategy by selecting five SDGs and linking any action you take to one of these Goals. Take Bel&Bo, for instance. This brand signed the COP21 agreement, thereby declaring their willingness to take action to reduce their environmental and carbon footprint. By doing so, they contribute to achieving UN Goal 13: Climate Action. Verboven considers sustainability as a continuous improvement. But to really make the most of it, the fashion industry still has quite a way to go. So, it’s time to get our hands dirty (or, rather: clean…).